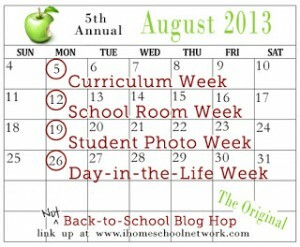 Earlier this month, I’ve shared our “un-curriculum” for the coming year and a look at our learning spaces as part of the iHomeschool Network’s Not Back to School Blog Hop. This week, it’s Day-In-The-Life Week, where we’re supposed to show what a typical day looks like in our family’s particular style. I don’t think we have a typical. Or a style. Unless haphazard and wonderful is a typical style. In that case, yes, yes we do, and you’re welcome to take a peek. Generally, Chris (and my mom) are up earliest – sometime between 8 and 9:30 a.m. I’m NOT a morning person – so while I’m often awake at 9-ish, I like to lounge, talk with Chris (if he’s writing at his desk in our room), play on my iPad, check Facebook and email, and do all of that good stuff before getting out of bed. By about 10:30 or 11 a.m., I’m downstairs answering emails and doing work tasks that I couldn’t do as easily from my phone or tablet; Chris is usually writing, puttering around the house or getting ready for work; and my mom, an earlier riser, is looking for lunch. Once Sarah’s up, she’ll come down, check her phone for Kik and Skype and text messages, and make herself something to eat. If we’ve got any errands to run, generally we’ll see if she wants to come along and we’ll head out pretty quickly, because by about 2 p.m. at the latest, we’re dropping Chris off at work. During the summer, or when homework isn’t heavy, the neighborhood public-school contingent shows up around 4 and sits in my living room to play video games, or Sarah goes with them to skateboard around the neighborhood or walk to the convenience store or generally “hang out” by sitting in our driveway, often perching on the trunk of my car. Other than that, our afternoons are filled with work (me), gaming and Netflix-watching (Sarah) and doing stuff around the house, like laundry and dishes. Around 4:30 or 5 p.m., Mom, Sarah and I start working together on dinner – whatever’s on the menu, plus substitutions for personal preferences. During this time, Sarah and I usually get a couple of emails from Chris. He sends us links to interesting things he finds online, random facts about things we’ve seen or talked about, photos of cats and monkeys, whatever. These are often good for a fun rabbit-trail conversation. In the evenings, Sarah and Mom hang out (often watching NCIS or Star Trek) and I head to tae kwon do (most nights). When I get back, I do one last round of online tasks, including blogging, and by about 9:30 p.m., Mom heads to bed. At that point, things are usually quiet, so Sarah gets some uninterrupted World of Warcraft time while I sit next to her and write. If I’m in the middle of an online course (right now, I’m juggling two – Virology and Animal Behaviorism), I’ll sit and watch the video lectures, and Sarah will often stop what she’s doing and lean over my shoulder. We snack a bit, tidy up, and when we start to wind down (any time between 10:30 p.m. and 1:30 a.m.) we head upstairs. First, let me say that I very much believe that we’re all learning a ton through all of those things above, even though none of them look a bit like school. Second, I wish someone could be a fly on the wall as we sit on the bed in our master bedroom, either Sarah and I if we’re waiting for Chris to finish work, or all three of us on the awesome days when he’s off. Sometimes, we watch movies or TV shows on Netflix, sitting in bed (Sarah in the middle, laptop on her lap, Chris and I on either side). Anyway, also during our evenings, we often play iPad games; logic puzzles like Rush Hour and all sorts of trivia apps are our current favorites. On occasion, we draw or color – maybe something like fractal art I’ve printed from a website, maybe just a drawing on blank paper to accompany one of our favorite stories. And we talk. We talk about what we read, weird facts from trivia questions, ideas for projects we want to work on together, news from the day. We pull up Wikipedia articles on how animals are classified and talk about the garden toad we found. We go down a rabbit trail about biology, classification, being a carnivore and speaking Latin. By about 2 to 3 a.m., when Chris gets home from work (if he’s not there already), we’ve usually spent 4 hours or more just being together, talking, exploring, creating, and, yes, learning. Once or twice a week, we head to the alpaca farm for a few hours of work with Sarah’s show animal, Gia. People sometimes think it’s funny that we do mundane stuff together, but even grocery-shopping becomes special when it’s family time. We do that every other week, and believe it or not, it’s a LOT more fun as a team. Sometimes, an episode of MythBusters or a book we’re reading will spark an idea for a science experiment, and the dining-room table will be transformed. Sundays, we might attend an event like a martial-arts tournament for me or visit Chris’s mom or – honestly – sleep in (when he works until 3 a.m., it’s occasionally a problem to get up)! We visit friends. We go to art galleries. We go to farmers’ markets. And all along the way, we make it a point to seek out interesting people and experiences, not just for Sarah but for all of us. Our teachers are all the people we meet, day in and day out. The coworker friend of mine at the baseball game who talked to Sarah about her job, getting ready to move, her recalcitrant cat and her favorite brands of clothing. The bookstore owner who sets aside a newspaper replica because he knows Sarah might like it. The husband of my best friend, who fixes his motorcycle in our driveway and shows Sarah the parts of it as he’s disassembling them. 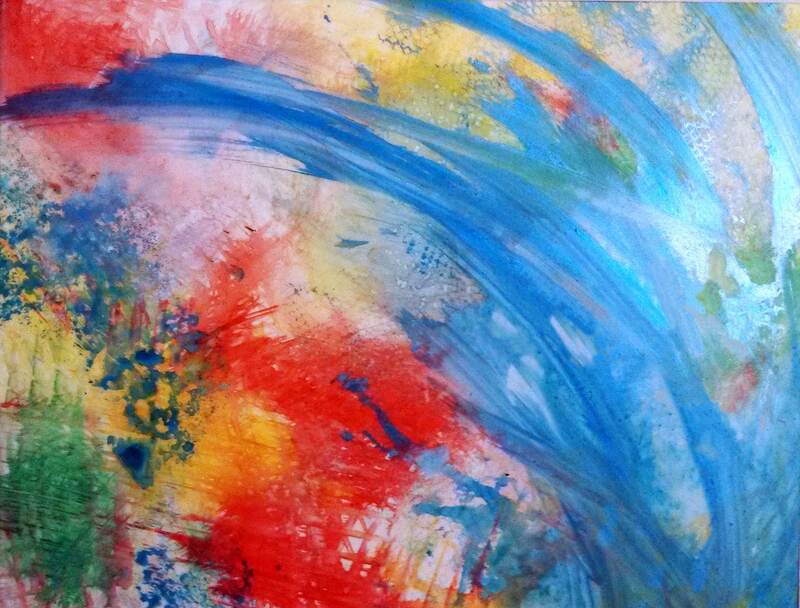 The artist and gallery-owner who takes the time to show a new work to us because it fits our style. That’s what unschooling looks like for us. It’s funny in a way to write this post – we rarely look at the individual days. We don’t need or choose to “do math” or “do school” for a particular amount of time, nor do we “have to” accomplish much in particular in a learning sense, and sometimes, weeks go by where we’re all so caught up in our personal interests that we don’t have time for much else. But over time, as the days build into weeks and months and years, we grow. It’s like watching a tree grow – maybe you don’t see the change each day. But when you step back, suddenly you think: This is so much bigger than it used to be. That’s how we feel about our life. Our free approach, rather than limiting what we learn, has made it so, so much bigger. 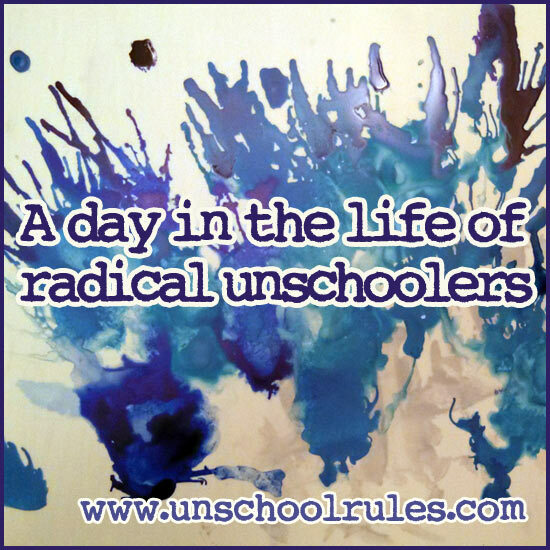 If you’re newer to Unschool RULES, maybe you’re wondering about this radical unschooling thing we do. Here are a few posts that tell more about our lives! Join the NOT Back-to-School Party! 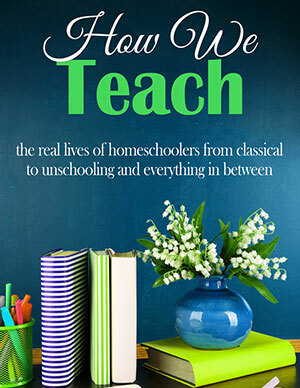 Want to see the typical or not-so-typical days of my fellow iHomeschool Network bloggers? This entry is about everyday life, philosophy, unschooling. 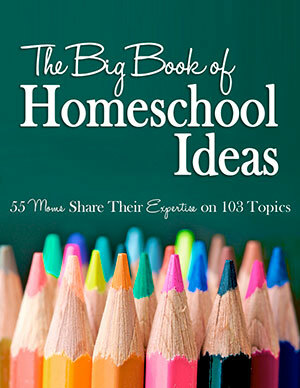 The previous post was The unschooled version of an eighth-grade-ish curriculum plan for 2013-14. 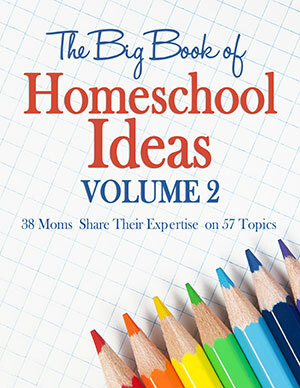 The next post is Building our unschooling math and science library – virtually! – with Uzinggo. Wow, this was a GREAT read! There I was panicking about declaring to the world my crazy intention not to differentiate between “school time” and non-school time… and your post lands in my inbox like a gift from heaven 😀 Thanks, Joan! Lucinda, thank you so much for the kind words! I’m so glad to have helped reassure you 🙂 You rock! I was also fairly horrified by all the 3.30am and 4am wake-ups – I already knew you guys didn’t live on that schedule but it’s good to have it reinforced again 🙂 I think I’ll be somewhere in the middle if/when I home educate my hypothetical future children, so it’s great to see all the angles. Your days sound awesome. Do you or did you ever have moments of guilt about them? Having had a very conventional education myself, I find it hard to just let myself be on days off and not fuss about “getting things done”. As far as moments of guilt go, I’m not sure. I think the thing I feel guilt about are the missed opportunities – the days where Sarah is interested in something and I put her off because I’m “busy,” or tell her we’ll do something in some nebulous “later” that doesn’t come. Those, I feel guilty about. Other than that… less so. That’s maybe easier for me, too, because Sarah wasn’t having a ton of success in a more conventional setting. I was definitely someone who was a conventional-school achiever, so that was hard for me, but it was hard THEN, when we were dealing with the public school system, not now, if that makes any sense? 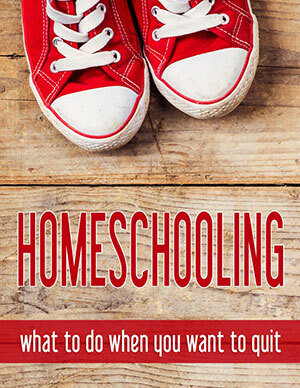 Unschooling fascinates me and terrifies me at the same time. lol! I sometimes lean that way, but can’t quite take the full plunge. So good to see it working and unschooling kids thriving. Thanks for sharing. We’re used to driving people around us a little crazy, but thankfully, we tend to attract people who are at least just as unusual in their own ways, if not quite the same way we are! 🙂 Good luck with your relatives!